You may wonder whether it is possible to play videos or music downloaded or rented from iTunes Store on a non-Apple device. As we all know, videos or music from iTunes Store are in M4V or M4P format which are encrypted with DRM protection. You cannot transfer them onto an Android/ Windows based device or common media players for playing. However, it can be done with help from third-party software. Here is a selection of the top 4 DRM removal software which can remove DRM legally and convert DRM M4V to unprotected formats so that you can enjoy the DRM-free videos or music on any Android/Windows device. M4VGear adopts an innovative DRM decrypting technique which makes it the fastest DRM remover in the world. It's capable of removing DRM from your iTunes movie, TV Shows and Music Videos at 20X faster speed. What's more, this powerful DRM Media Converter can also retain subtitles and audio track (including 5.1 audio). You can easily watch DRM-free iTunes HD 1080P Movies, TV Shows with lossless quality on any devices or media players. 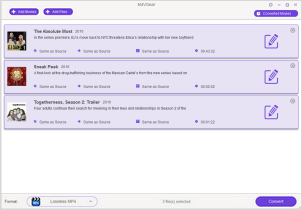 Surppot converting all iTunes M4V videos. Do not support other DRM-protected videos such as Amazon Instant Video, videos from BBC Player, etc. M4VGear will offer you a 1-minute free trial which will let you convert one minute of iTunes videos for free. If you want to unlock the 1 minute restriction, please buy full version with $44.95 ($49.95) Now. 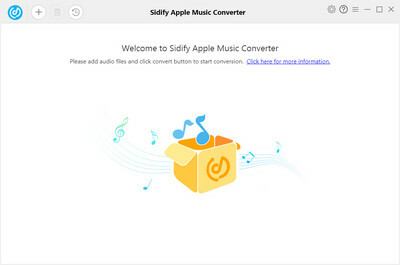 Sidify Apple Music Converter is professional and all-in-one DRM Audio Converter for iTunes users which can be used as Apple Music Converter, Audiobook Converter and M4P to MP3 Converter. It converts audio files at 20X faster speed with lossless quality. Aimersoft DRM Media Converter is one of the best DRM removal software tool for Windows users. It is able to remove DRM from protected M4P/M4B/M4V, WMA/WMV, AA, AAX, ASF, and more. 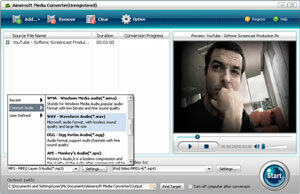 Apart from DRM Remover, it also works as common Video Converter that can convert DRM free (HD) video and audio. Whether video files downloaded from iTunes, Windows Media Center, BBC iPlayer, Amazon Instant Video, etc. or audio files from iTunes, Audible, Napster, etc., you can rely on DRM Media Converter to get them DRM free. 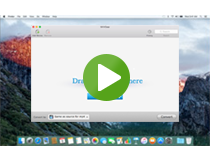 TuneChef helps remove DRM from iTunes purchased and rented M4V videos with fast speed and lossless quality. It supports various output formats like MP4, MKV, MOV, AVI, etc. It also supports converting videos of non-protected formats. Support various output formats like MP4, MOV, etc.